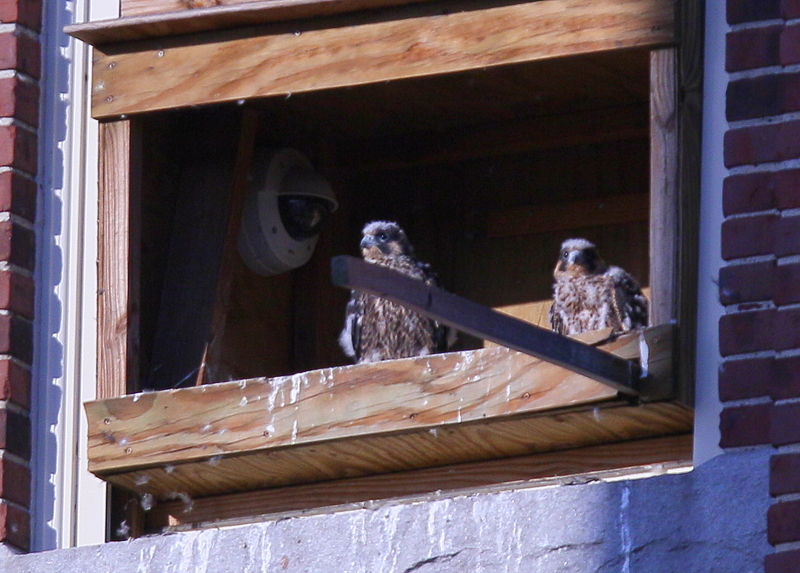 Peregrine chicks looking west from nest box! 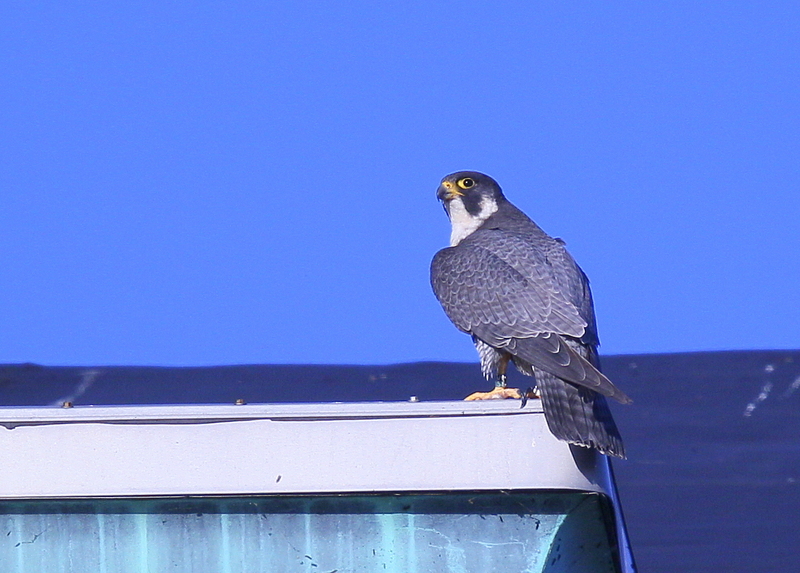 The peregrine chicks are spending more time at the froint edge of the nest box looking out over the west facing view. They continue assertive wing flapping to stretch those wings and to learn just how they work! Mother Bear remains nearby on duty!